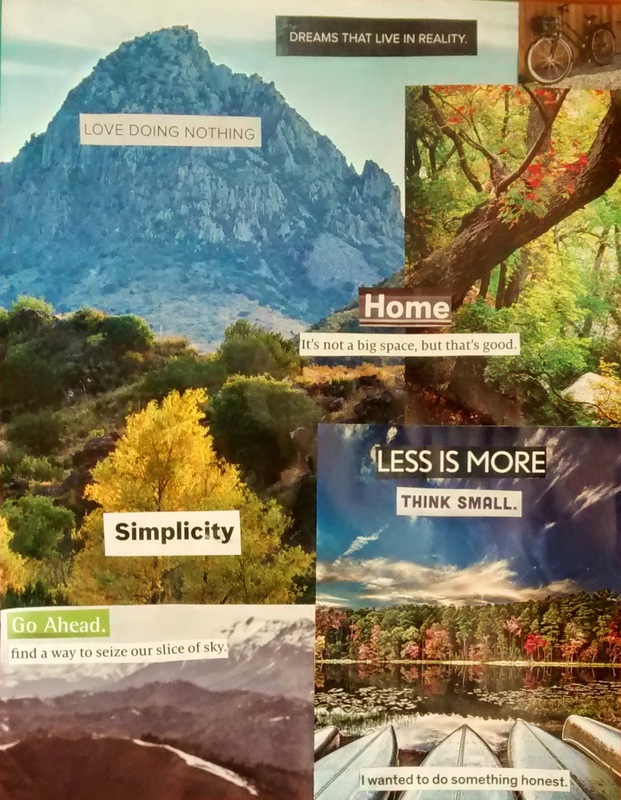 Love your collage, as well as your mantra for this year. So much is so helpful for me, too, in the idea that life is composed of moments that–good or bad–always end. Perspective is such a powerful thing. Love your collage!! A lot of the phrases you used really speak to me, as Jared and I get closer and closer to moving to our forever place - fingers crossed, it will happen this summer! I am SO excited to expand our family and create a homeplace where our kids can learn and grow - and where Jared and I can have space and time to do the things that really matter to us...it's been a while since I visited your blog, but I'm so glad I did today :) Hope you all are doing well!! Thanks, Hilary! I am excited for you and Jared to make the move to your forever place. You all are such an inspiration to us!